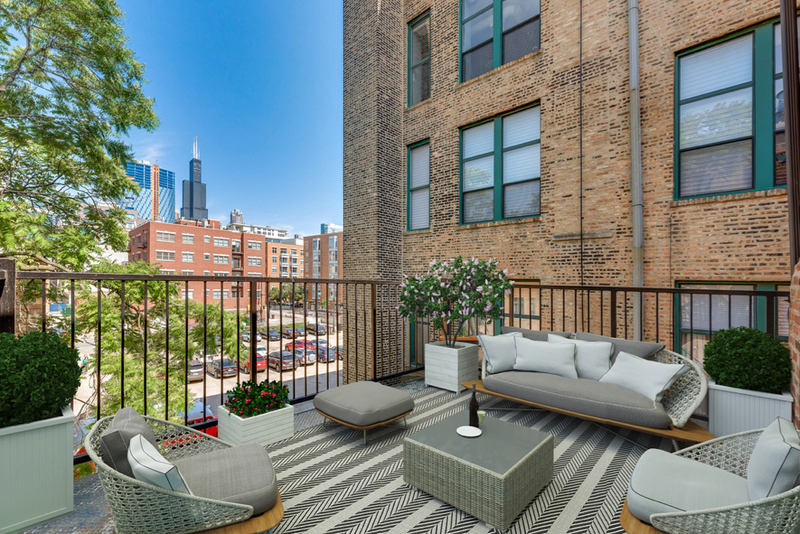 Luxuriously appointed 3 bed, 2 bath penthouse in boutique three unit building, perfectly situated in the heart of West Loop. 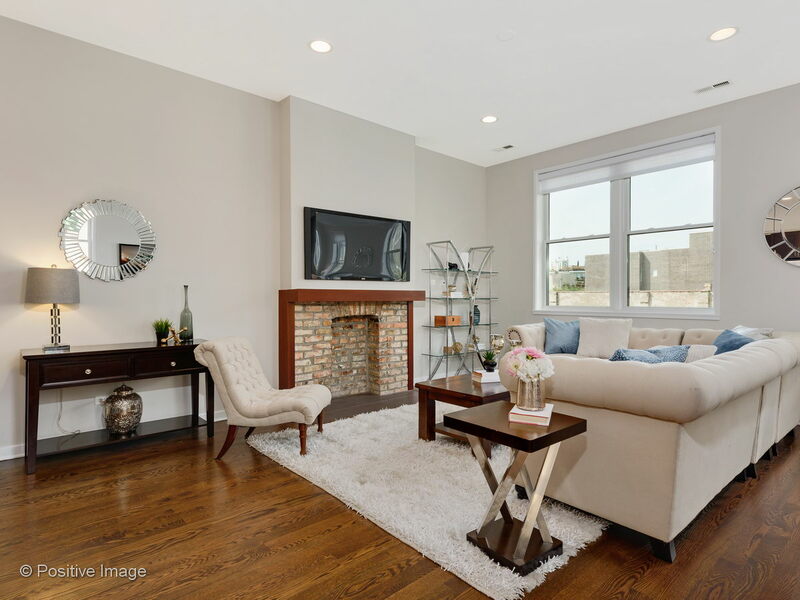 Expansive floor plan is an entertainer’s dream, with oversized windows spanning each wall & letting in all-day natural light. 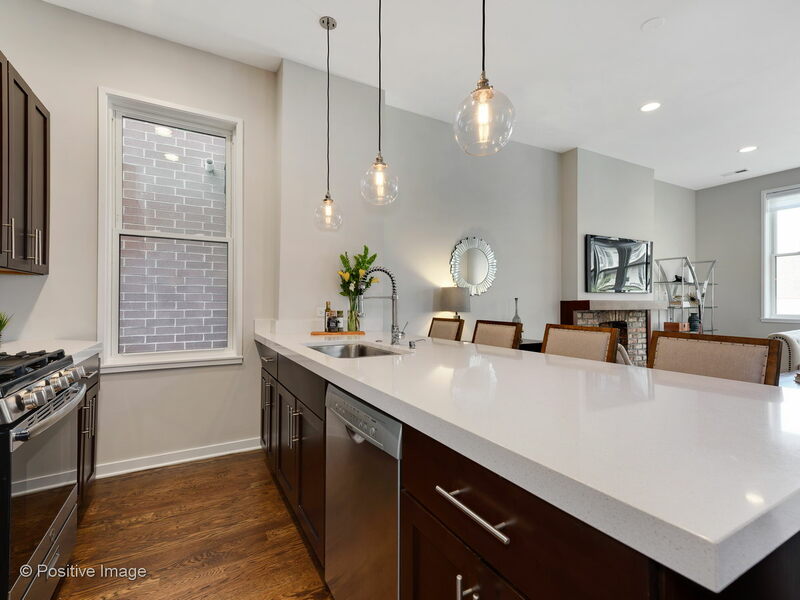 Chef’s kitchen is finished with espresso cabinetry, Quartz counters, stainless steel appliances & Restoration Hardware pendant lighting over breakfast bar. 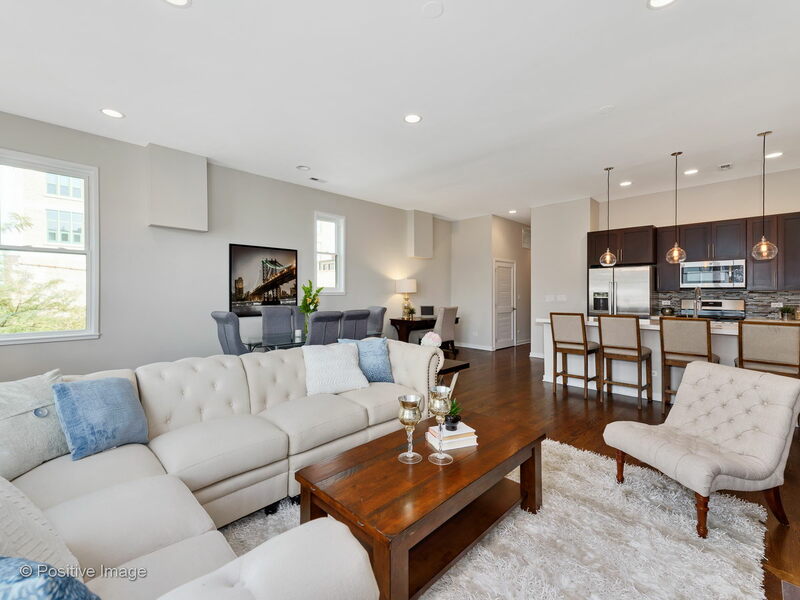 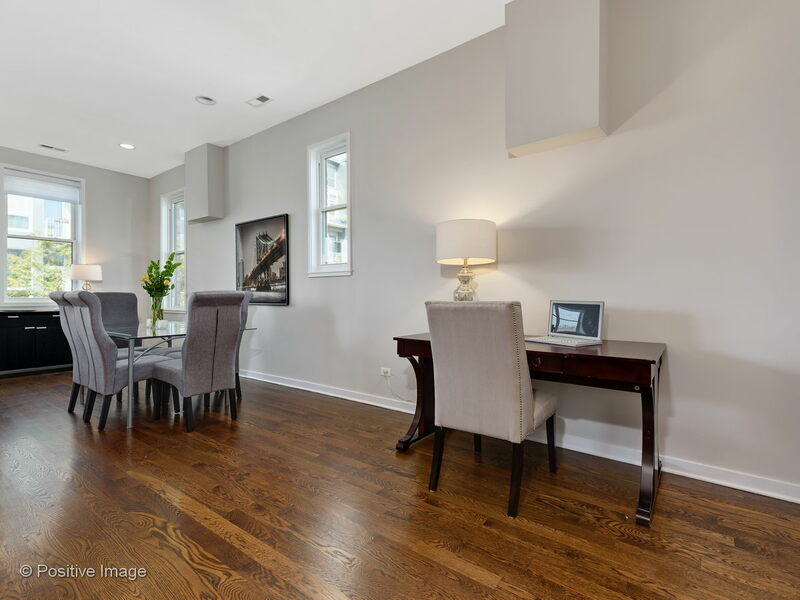 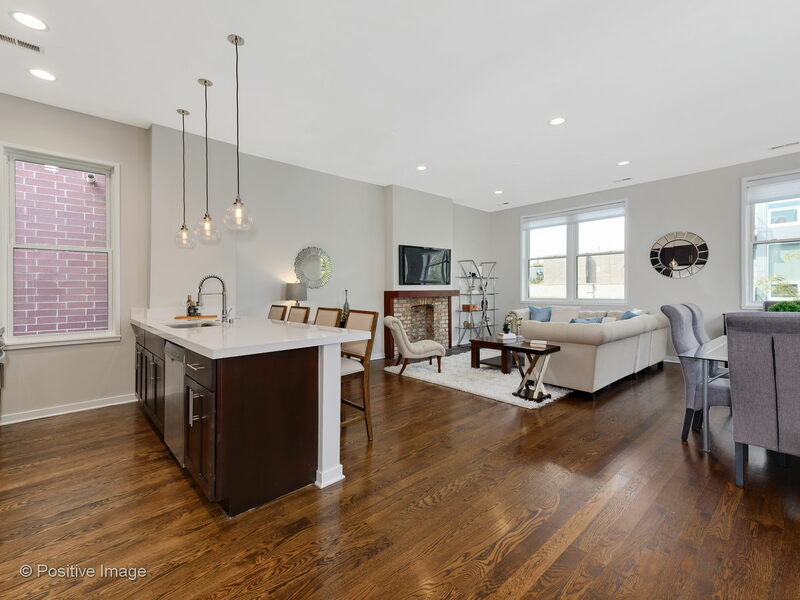 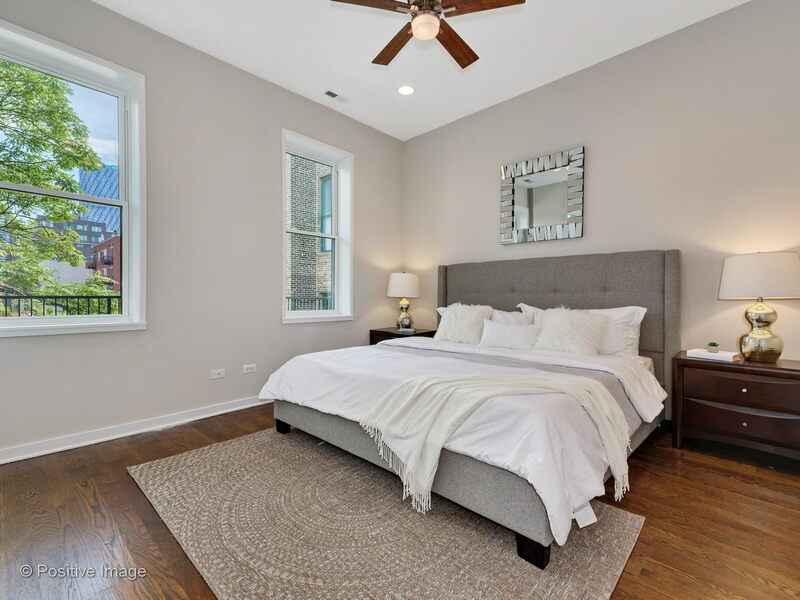 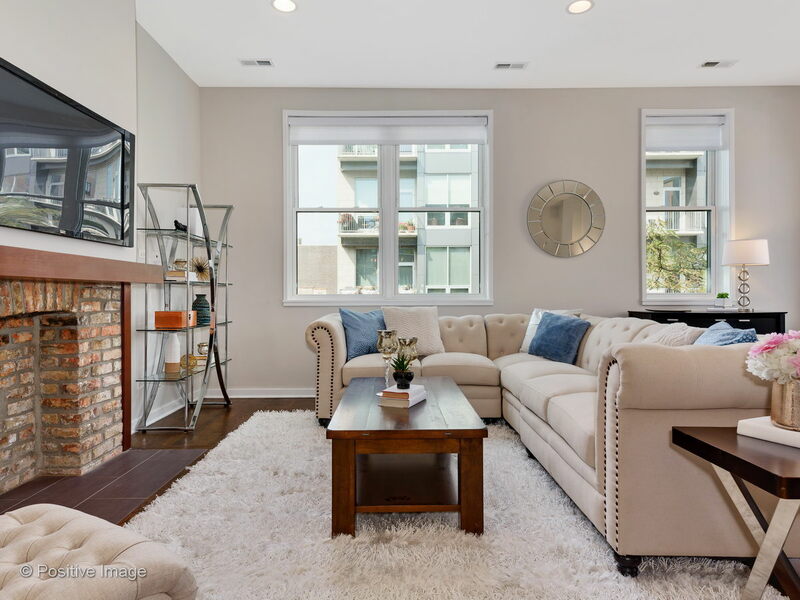 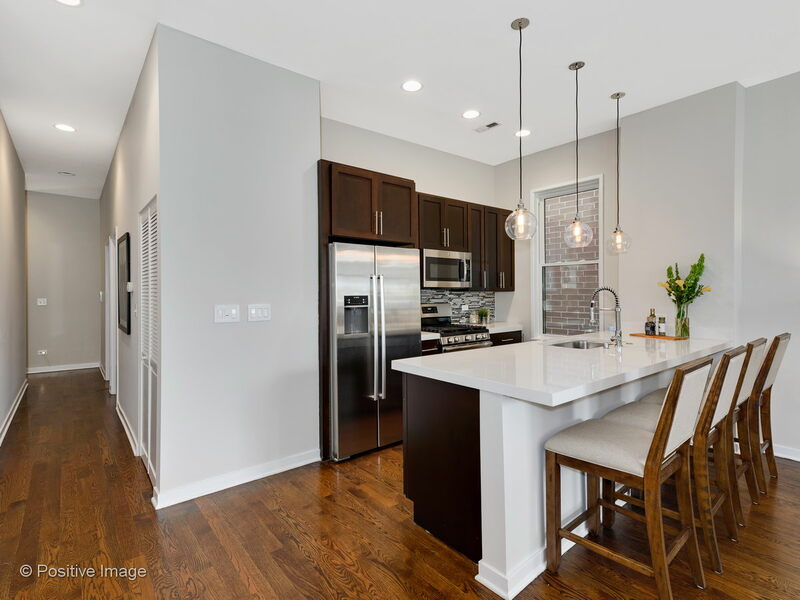 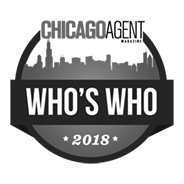 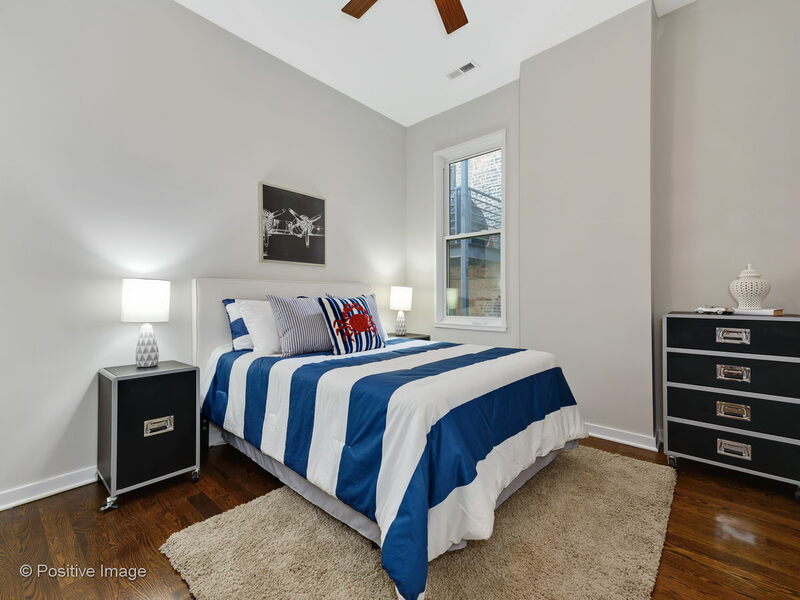 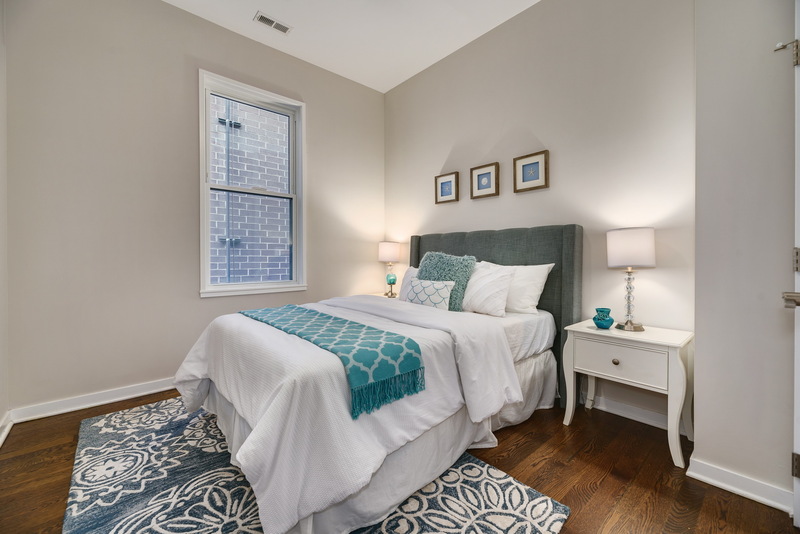 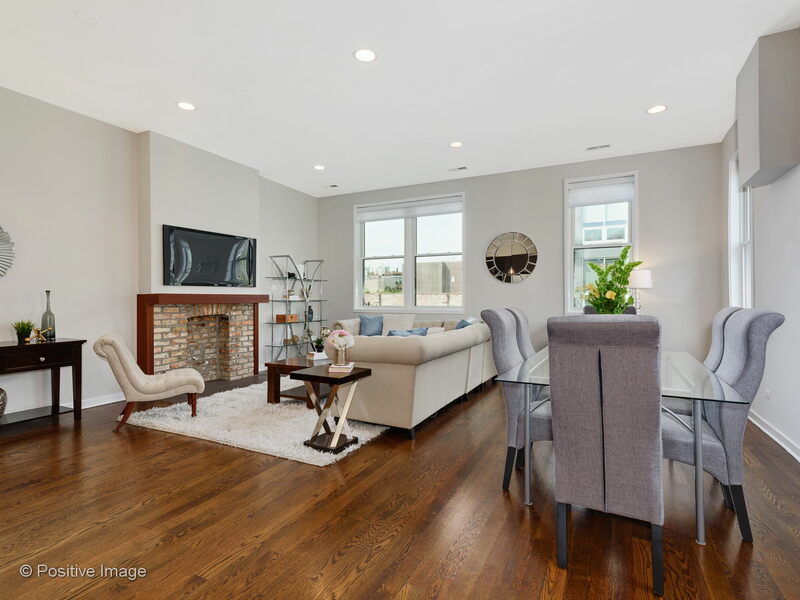 Extra wide floor plan allows for separate living & dining rooms and is detailed with newly refinished oak hardwood floors, exposed brick decorative fireplace & 11′ ceilings. 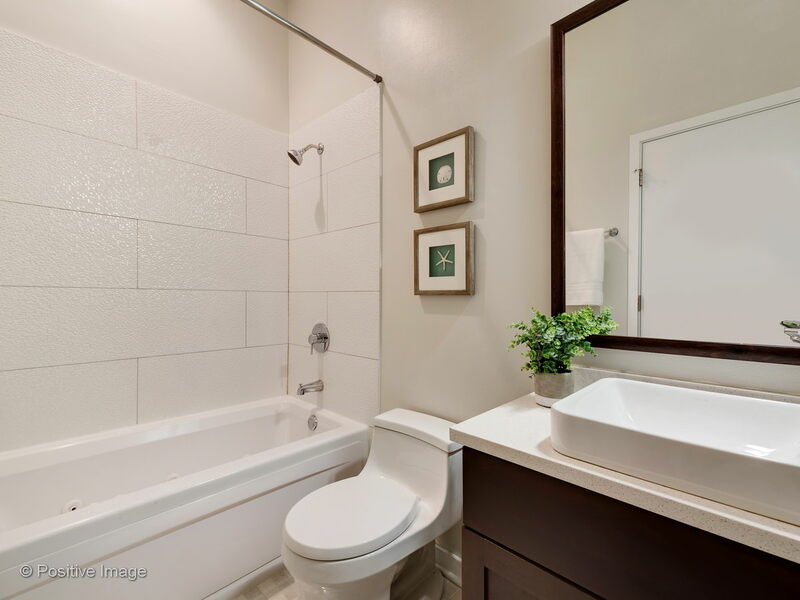 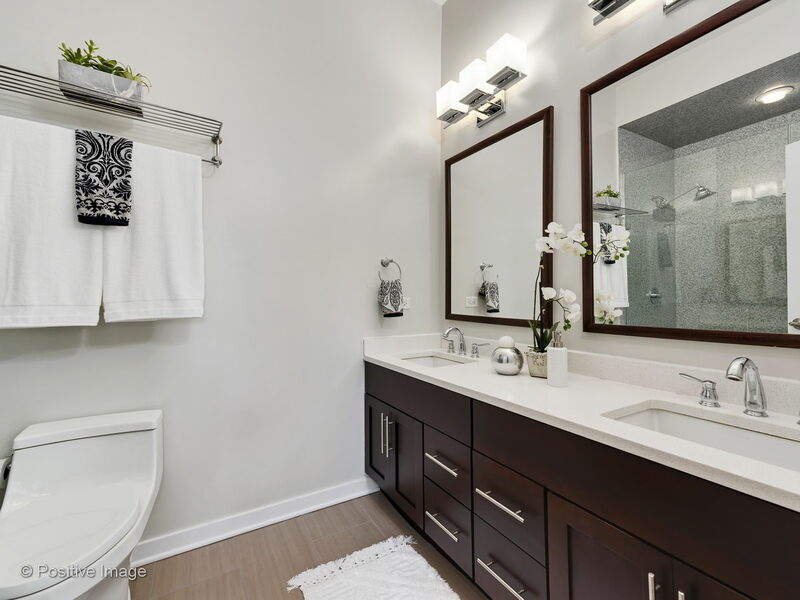 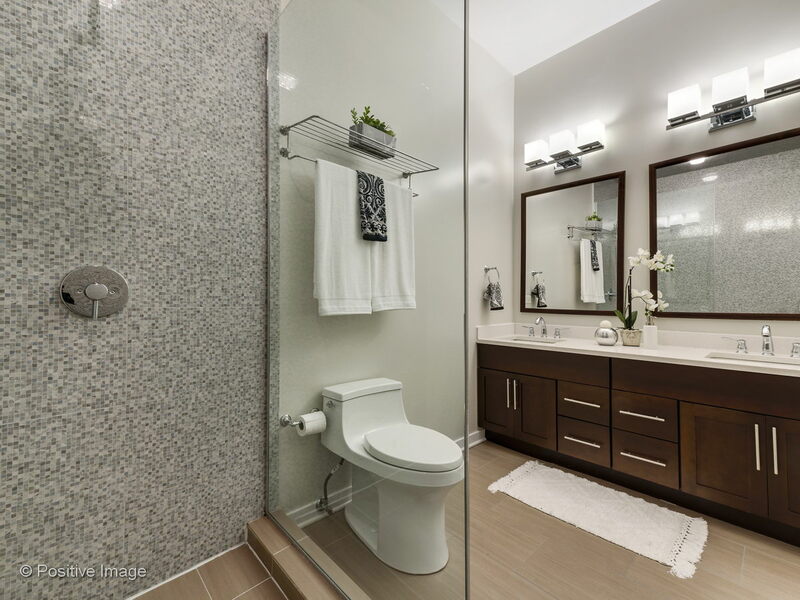 Large bedrooms have professionally organized closets, and the master bedroom is equipped with an en-suite bathroom offering double vanity & gorgeous stand up shower. 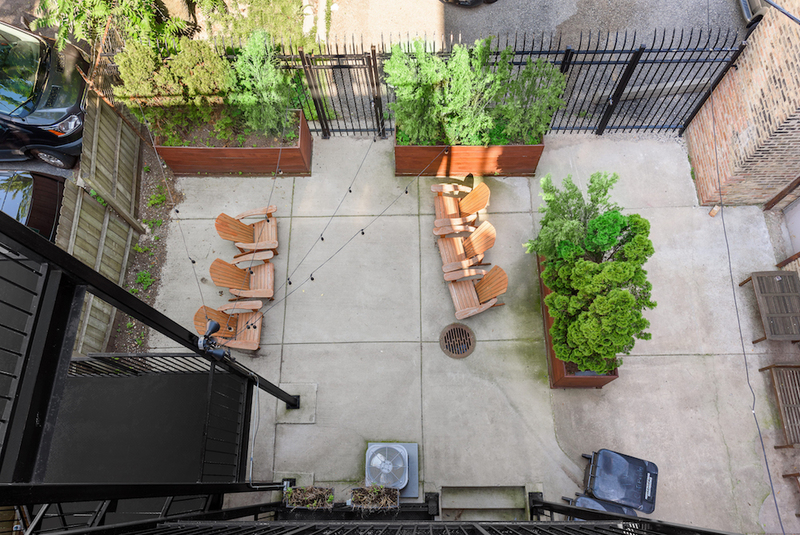 Private rear balcony has stellar city views & looks on to shared greenspace. 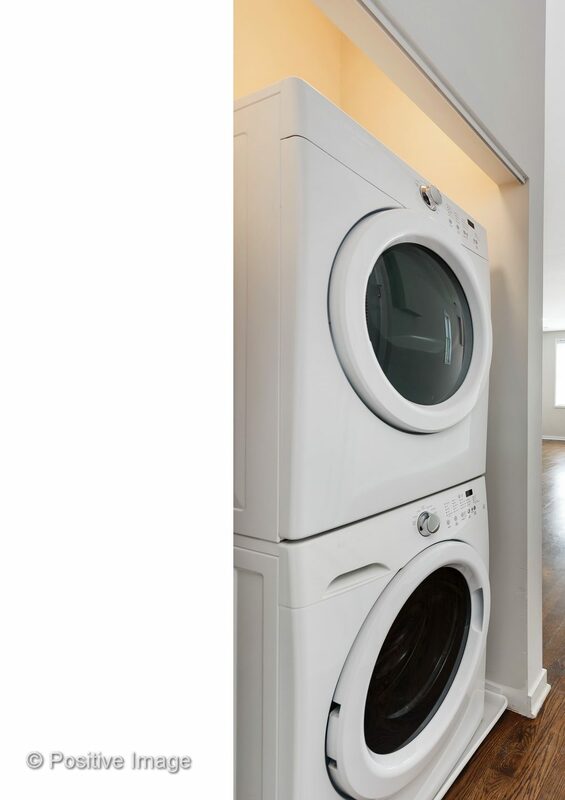 Stackable washer/dryer combo & additional storage. 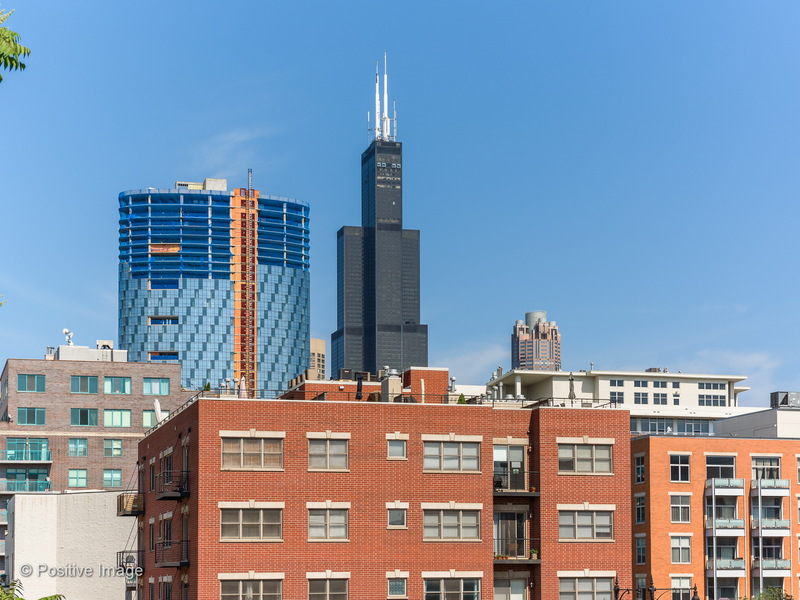 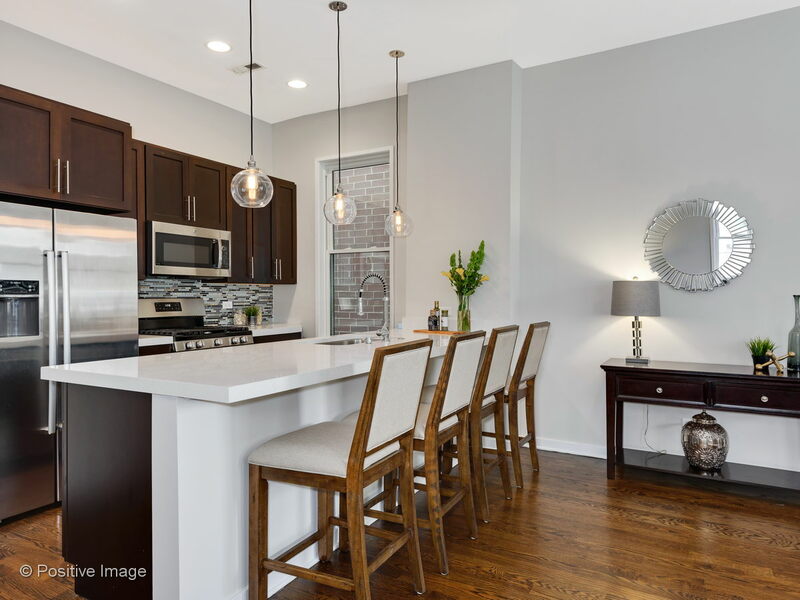 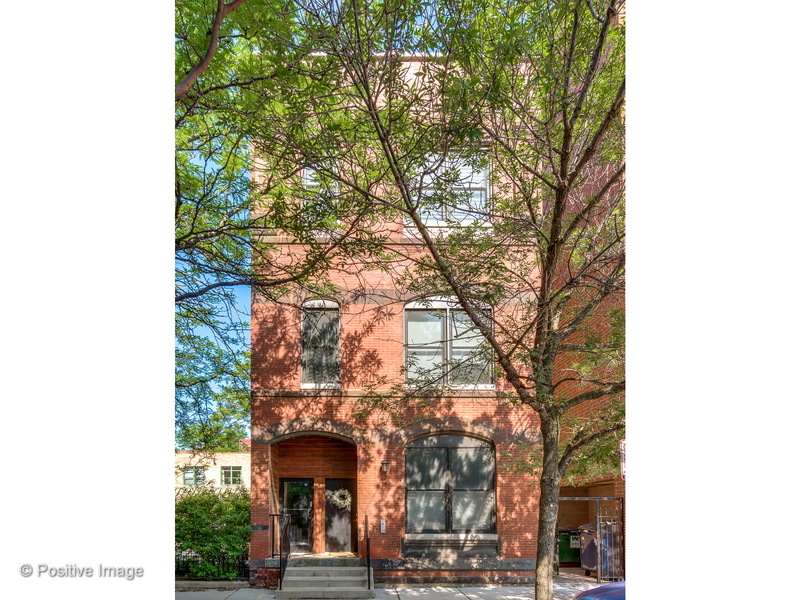 Central location off of Madison & blocks from the hottest restaurants on Randolph, parks, the loop, public trans & in coveted Skinner school district. 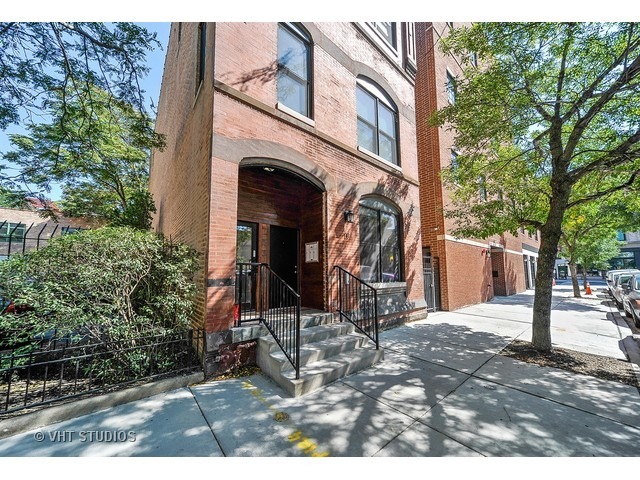 Permit street parking directly out front. 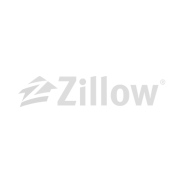 *No rental restrictions. 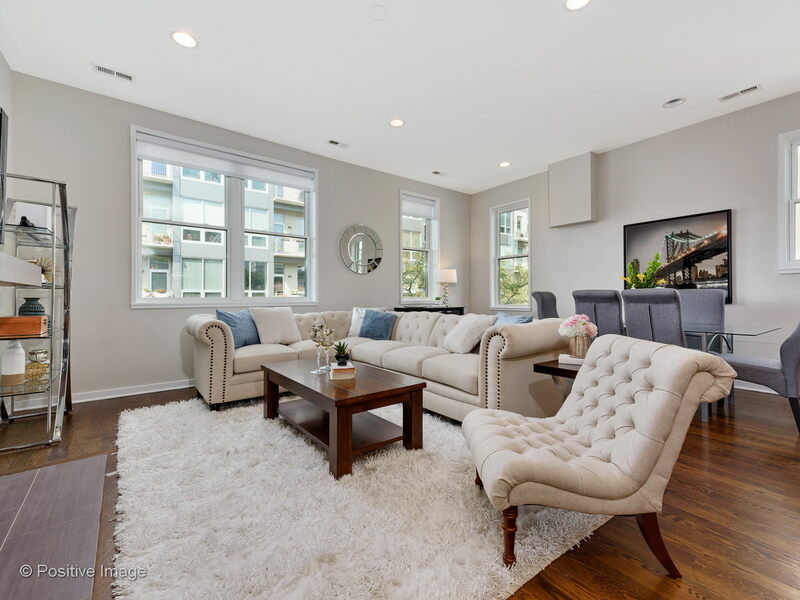 Short-term leases of 6+ months are OK.